Pam du Plessis, MD of Invincible Valves, says the time is right for the company to diversify into the broader African market. and in terms of employment. 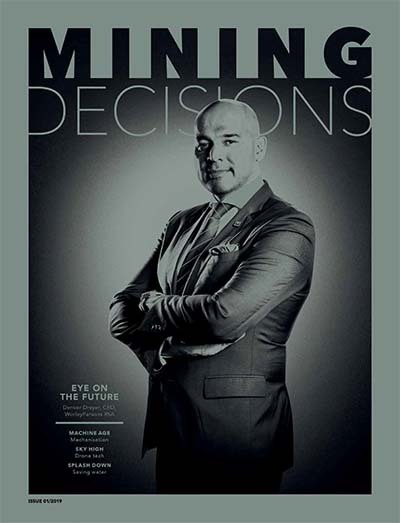 South Africa may have been considered a major player from a global mining perspective, but recent events such as the release of the controversial Mining Charter, the downgrade of the country’s credit to junk status by leading ratings agencies and political uncertainty have caused mining-related companies and suppliers to look beyond South Africa’s borders, where the sector’s future appears much brighter. This is certainly true for Invincible Valves, a supplier of local and imported valves and accessories for a range of sectors, including the mining, petrochemical, power generation, water, sewerage and general industries. Under the leadership of MD Pam du Plessis, the company is seeking to grow through diversification – enhancing its existing products and introducing its own range of valves, Inval, which she describes as ’a quality product with a price acceptable to the market in this day and age’. 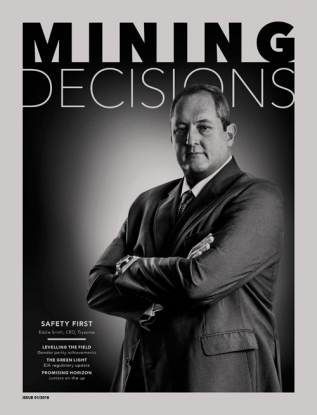 But price and quality aren’t necessarily the only factors that companies such as Invincible Valves need to consider as South Africa’s troubled mining sector continues to flounder. Du Plessis argues that suppliers have a far better chance of survival in the broader African market than in South Africa. Africa is booming, with minerals being mined in ‘many African countries, namely Burkina Faso, Côte d’Ivoire, DRC, Ghana, Sierra Leone and Zimbabwe. [Many] among them, and especially those in the West Africa region, are growing at a respectable rate year on year’, she says. ‘South Africa presents a very different picture. In the late ’80s we saw the mining industry contribute 21% to the economy, with in excess of 760 000 jobs occupied. Today, however, those figures represent a dismal 8% contribution to GDP and just 460 000 jobs, the latter [being under constant threat of] industrial action. ‘The crippling of the SA economy is further exacerbated by the introduction of the new Mining Charter, so we may see further job losses and an even lower contribution to the GDP,’ she says. This has resulted in Invincible Valves remaining competitive within what Du Plessis describes as a ‘dog-eat-dog’ environment. ‘The competition has changed to such an extent that we now compete with our key suppliers on their own products. What used to be a chain is now a direct deal from manufacturer to end-user, and this puts immense pressure on the sector and, again, contributes to job losses, which in turn contributes to industrial action and loss of income.’ And so a vicious circle is created. 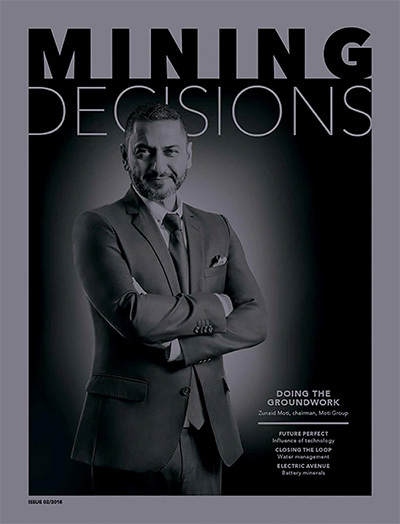 That said, many opportunities still remain in African mining, particularly – for Invincible Valves – in the West and Central African regions and even beyond the borders of the continent. Currently the company has a 45% export split, a figure that changes depending on the projects under way. ‘We will definitely see a shift in the latter part of the year where the ratio will turn to some 65% cross-border trade,’ says Du Plessis. While cross-border dealings carry elements of risk, she argues that suppliers have little option, as it is almost impossible to survive by servicing the South African market alone. As the company broadens its penetration of African markets, Invincible Valves continues to recognise the demand for quality. From initial engagement to product delivery, the company is certainly meeting customer expectations of ‘superior service, quality products and competitive pricing’, according to Du Plessis. She adds that Invincible Valves’ offering of slurry valves from its largest range of products – sold to process plants and tailings facilities of mining operations – not only meets objectives but also serves to ensure longevity. Du Plessis attributes the company’s success to the fact that it provides its staff with the necessary skills and training. In fact, in response to the absence of an efficient training facility in South Africa, the company introduced its own full education programme and recently opened a training centre on its premises in Gauteng, South Africa. In addition, the organisation also offers adult basic education training courses and basic business skills. This strong focus on training has proven its worth, of which Du Plessis is testament. With regard to being a female in a male-dominated industry, she says she has not changed her feminine inclinations towards business. Du Plessis has, however, upskilled herself in areas that give her ‘higher emotional intelligence to deal with business issues in a logical, practical and fair manner’. While Du Plessis recognises that women have yet to equally infiltrate the market, she prefers to consider it an opportunity instead of a challenge. And it’s certainly an opportunity that she is taking full advantage of, given her recent Enterprising Women of the Year award, where she was honoured by the US-based Enterprising Women magazine in the ‘over US$5 million and up to US$10 million in annual revenues’ category. Another accolade was a ‘Moving Mountains 2017’ award from UnitedSucces, a global organisation geared to supporting female entrepreneurs in accelerating the growth of their business. 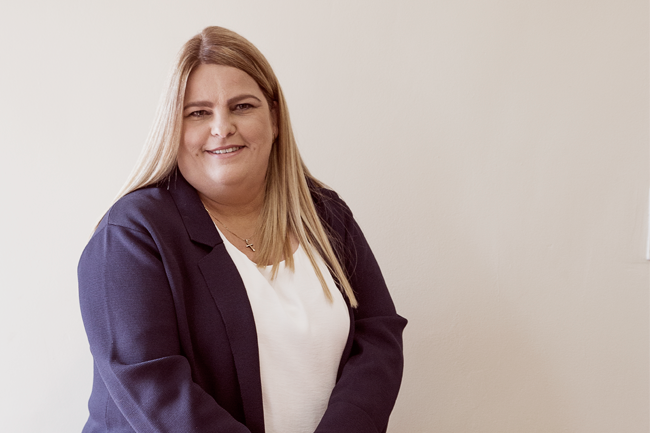 Seven years after joining Invincible Valves as an accountant, Du Plessis achieved her aspiration of leading the company, so she has a good understanding of the importance of education in reaching her goals. She has guided the company towards socio-economic development through community programmes that address TB and HIV/Aids, and she has facilitated the distribution of picture dictionaries and other educational materials to local communities and schools. Grade 11 learners are also being encouraged to improve their maths and science skills and have the opportunity to be awarded one of two Invincible Valves engineering bursaries at a local technical high school. Invincible Valves continues to grow its business despite the negative climate in South Africa, largely because of two aspects, namely values and quality. Its promise to the market, according to Du Plessis, is clear.